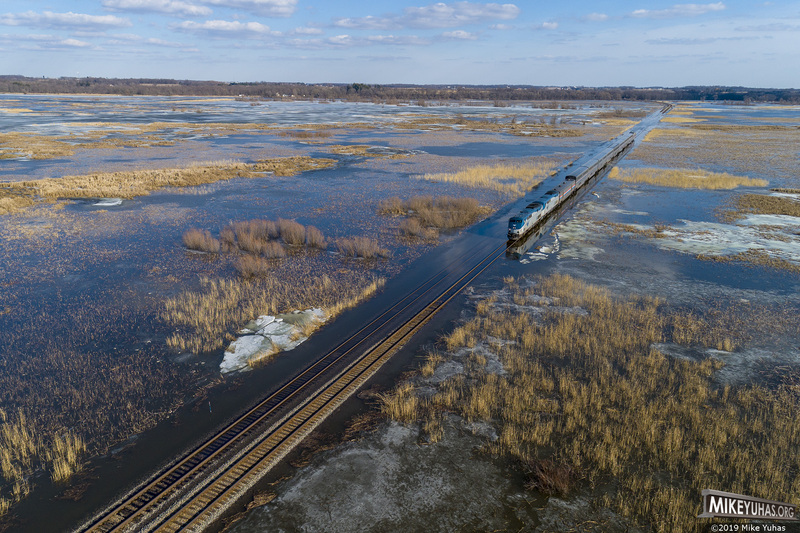 Amtrak train 7, the westbound Empire Builder, treads carefully at 25 MPH over the flooded Reeseville marsh on Canadian Pacific's Watertown Subdivision. Warm temperatures and snowmelt combined with heavy rains a few days ago resulted in high water here at the marsh. Train is on main 2 track, which seems to be slightly higher than the other main.